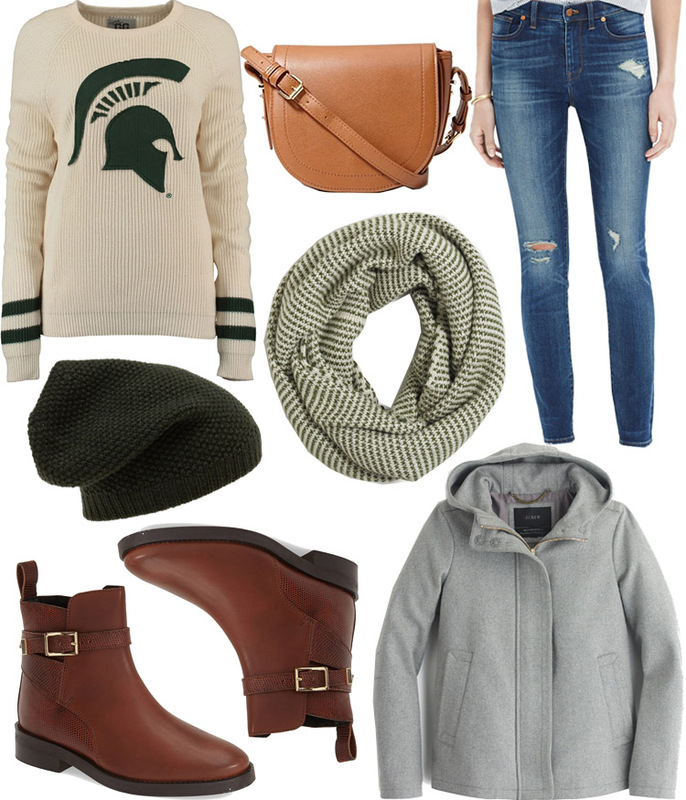 We're headed back to our alma mater - Michigan State University - for homecoming this weekend. I look forward to this weekend every year, not only because we get to see old friends, but also because I love bundling up in a cozy outfit for tailgating. Above are some great basics that will keep you warm and comfortable while outside and on your feet all day. Additionally, you can easily swap out the shoes and jacket for something waterproof if it's projected to rain.